6am (London Time): Attach indicator on charts and place all pending orders. 10am (London Time): Close all pending orders that are yet to be triggered. 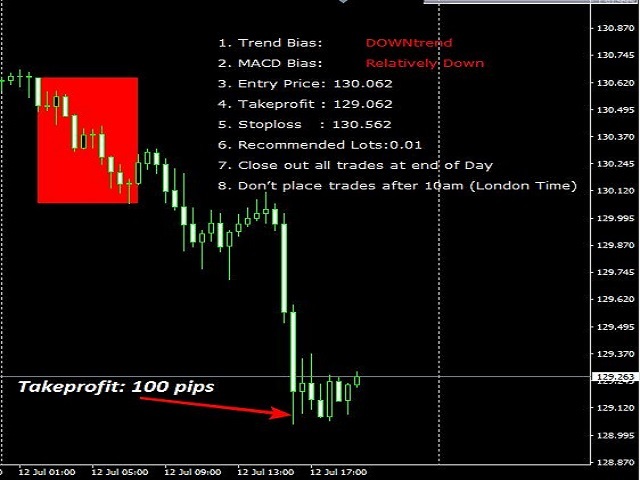 10pm (London Time): Close all trades. Attach the indicator on the Recommended currency. At 6am (London Time), place your pending order trades. By 10am (London Time) close all trades and pending orders left.